Amazon Fire TV Stick is quite popular and mostly works without any issues. It converts a non-smart TV to a smart TV, almost. Using Fire TV Stick, you can not only access Amazon Prime Video content but also watch videos available on Netflix, Hulu, and other popular movie streaming services. If you are experiencing issues with the Fire TV Stick or want to delete all personal data from the Fire TV Stick before giving it to someone else, you might want to perform a factory reset of Fire TV Stick. Resetting the Fire TV Stick will remove all personal information and downloaded content, including apps from your Fire TV Stick. You might need to sign in again by entering your Amazon account to begin using the Fire TV Stick. 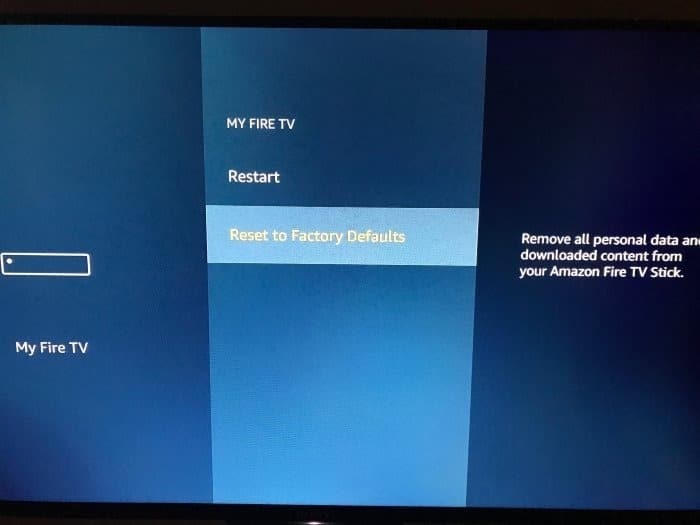 Here is how to reset Amazon Fire TV Stick to factory defaults. Step 1: Make sure that the Fire TV Stick is connected to a display and both the display and Fire TV Stick is turned on. 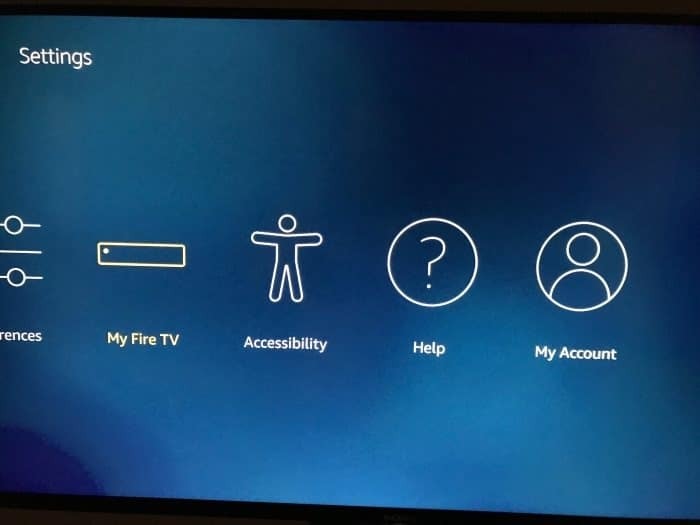 Step 2: Use the Fire TV Stick remote to navigate to Settings > MY Fire TV. You can easily navigate to the Settings when you are at the Home screen. 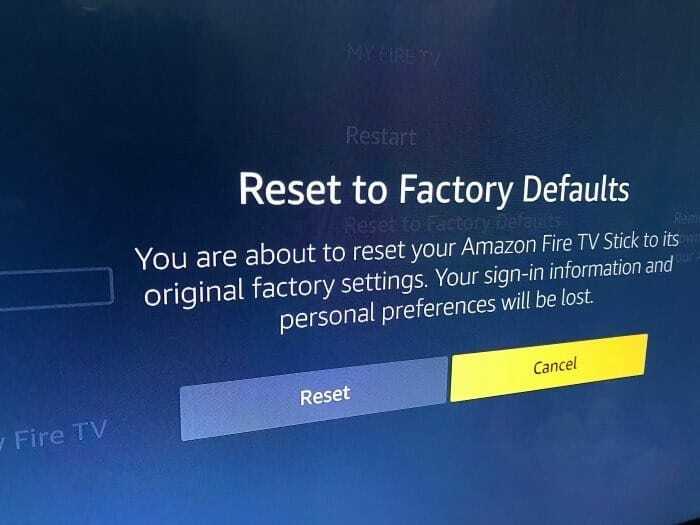 Step 3: Select the Reset to Factory Default option and then press the select key on the remote to reset Amazon Fire TV Stick. When you get the following confirmation screen with “You are about to reset your Amazon Fire TV Stick to its original factory settings. Your sign-in information and personal preferences will be lost” message. Select the Reset option and then press the select key on the remote to go ahead and reset Amazon Fire TV Stick. Our how to sign out of the Amazon Fire TV Stick guide might also interest you.